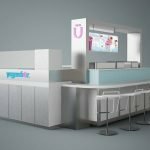 Are you looking for self serve frozen yogurt kiosk design ? 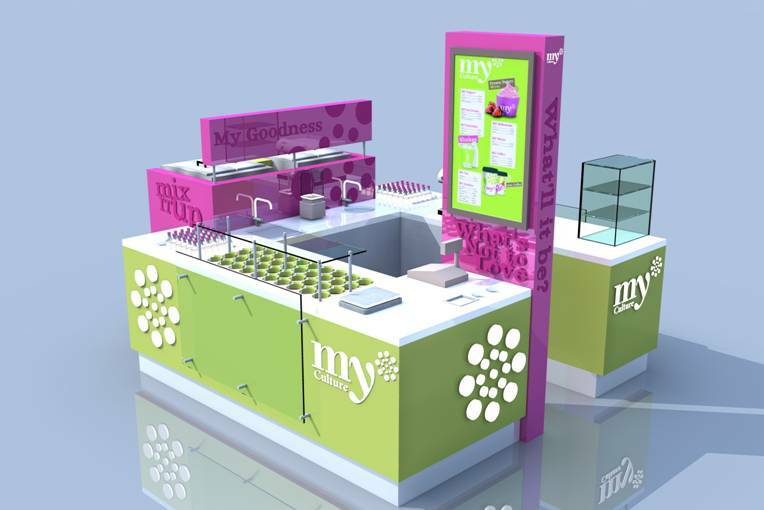 We have build a very nice yogurt kiosk recently ,Please check the following design. 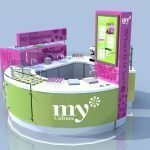 This is 10*10 ft square self serve yogurt kiosk design for mall . The material used on this kiosk are fire-resistant plywood with high quality lamination finish. With cooled toppings for different flavor display. 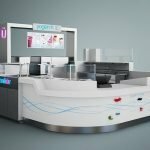 I know it’s not a right time to sell ice cream or frozen yogurt in Winter, But if you planning to open a self serve kiosk business in mall . You can get great ideas from this design. One more thing,The price for this yogurt kiosk kiosk is only 6900 USD. However our food kiosk price is range from different size. If you have a smaller size to build a small kiosk .The cost will be less. On the contrary will be higher. 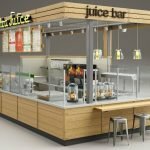 Do you like this food kiosk design for mall. You can also used this kiosk design for airport or big business trade center. If you want a latest price for this kiosk .Please feel free to contact us.